It's difficult to move on from a car accident if pain still weighs on you every time you get out of bed. If your back bothers you long after the crash, your problems may be more serious than just a bit of aching. You could have a herniated disc. If a disc is out of place, it may require physical therapy or surgery, two more things to take up time and money. If you suffer pain from a herniated disc, you may have a case for compensation. 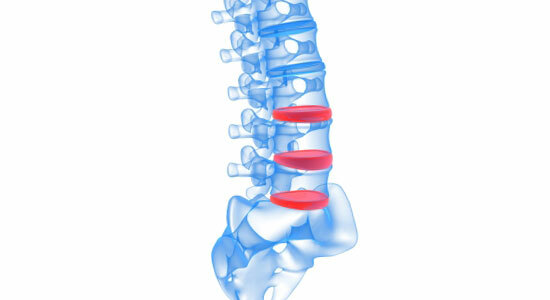 At Edgar Snyder & Associates, we do all we can for our clients suffering from chronic pain caused by a herniated disc. We stand up to the insurance companies that don't have your best interest in mind or consider how complicated a herniated disc can be. We figure out how much future medical treatment will likely cost. We keep track of deadlines and answer your questions. We cover any upfront costs. We do everything in our power to make sure you get the compensation you deserve. We take away your worries so you can focus on getting the treatment you need to get better. Trust us to fight for the settlement you deserve so you can start getting better, once and for all. There's no obligation to use our services, and there's never a fee unless we get money for you.